Come along on an animal adding adventure. Add baby animals to the adults to see how many there are all together. And while you are at it, learn what some of the zoo animals eat or what the baby animals are called. Follow the lost red balloon as it soars through the zoo. At the end of the day, count up all the animals you have seen. The “For Creative Minds” educational section includes: How many animals do you see?, Tens make friends, Adding by columns, Fact families, Food for thought, Animal matching activity, and Animal classes. 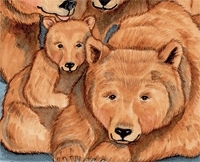 This nonfiction picture book with a cuddle factor and rhyming text includes a 4-page For Creative Minds section in the back of the book and a 50-page cross-curricular Teaching Activity Guide online. What’s New at the Zoo? 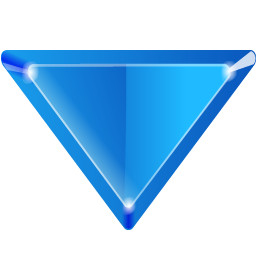 is vetted by experts and designed to encourage parental engagement. Its extensive back matter helps teachers with time-saving lesson ideas, provides extensions for science, math, and social studies units, and uses inquiry-based learning to help build critical thinking skills in young readers. The Spanish translation supports ELL and dual-language programs. The interactive ebook reads aloud in both English and Spanish with word highlighting and audio speed control to promote oral language skills, fluency, pronunciation, text engagement, and reading comprehension. 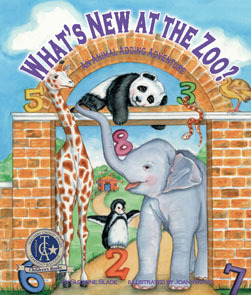 Vetters: Thanks to Mary Santilli, Presidential Award Recipient for Elementary Mathematics (CT 1991), for verifying the accuracy of the math information and to Ron Fricke, Deputy Director of the Toledo Zoo for verifying the accuracy of the animal information in the book. 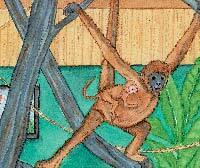 Joan Waites (What's the Difference?, and What's New at the Zoo?) has been a freelance illustrator for the past 18 years. She received a Bachelor of Science degree from DeSales University in 1982. Employment followed for 15 years as a neo-natal intensive care nurse in Philadelphia and Washington DC, while she simultaneously returned to college to study illustration and launch her freelance career. In addition to What’s the Difference? 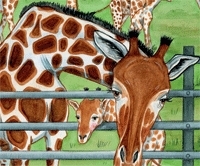 and What's New at the Zoo?, Joan has illustrated nearly 40 books for the educational and trade marketplace. She is also an adjunt faculty member of The Corcoran Museum School of Art and Design in Washington, DC, where she teaches various children's classes for the college's "Aspiring Artists" program. Visit Joan's website.